Anthem: " Hen Wlad Fy Nhadau"
Wales ( Welsh: Cymru [ˈkəmri] ( listen)) is a country that is part of the United Kingdom and the island of Great Britain. 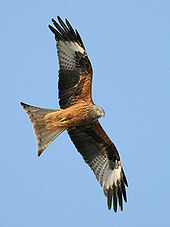 It is bordered by England to the east, the Irish Sea to the north and west, and the Bristol Channel to the south. It had a population in 2011 of 3,063,456 and has a total area of 20,779 km2 (8,023 sq mi). Wales has over 1,680 miles (2,700 km) of coastline and is largely mountainous, with its higher peaks in the north and central areas, including Snowdon (Yr Wyddfa), its highest summit. The country lies within the north temperate zone and has a changeable, maritime climate. Historically in Britain, the words were not restricted to modern Wales or to the Welsh but were used to refer to anything that the Anglo-Saxons associated with the Britons, including other non-Germanic territories in Britain (e.g. Cornwall) and places in Anglo-Saxon territory associated with Britons (e.g. Walworth in County Durham and Walton in West Yorkshire),  as well as items associated with non-Germanic Europeans, such as the walnut. The Latinised forms of these names, Cambrian, Cambric and Cambria, survive as lesser-used alternative names for Wales, Welsh and the Welsh people. Examples include the Cambrian Mountains (which cover much of Wales and gave their name to the Cambrian geological period), the newspaper Cambrian News, and the organisations Cambrian Airways, Cambrian Railways, Cambrian Archaeological Association and the Royal Cambrian Academy of Art. Outside Wales, a related form survives as the name Cumbria in North West England, which was once a part of Yr Hen Ogledd. The Cumbric language, which is thought to have been closely related to Welsh, was spoken in this area until becoming extinct around the 12th century. This form also appears at times in literary references, as in the pseudohistorical " Historia Regum Britanniae" of Geoffrey of Monmouth, where the character of Camber is described as the eponymous King of Cymru. The 400-year period following the collapse of Roman rule is the most difficult to interpret in the history of Wales. After the Roman departure from Britain in AD 410, much of the lowlands of Britain to the east and south-east was overrun by various Germanic peoples. Before extensive studies of the distribution of R1b Y-DNA subclades, some previously maintained that native Britons were displaced by the invaders. This idea has been discarded in the face of evidence that much of the population has, at the latest, Hallstatt era origins, but probably late Neolithic, or at earliest Mesolithic origins with little contribution from Anglo-Saxon source areas. 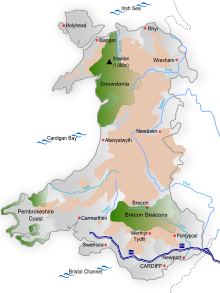 However, by AD 500, the land that would become Wales had divided into a number of kingdoms free from Anglo-Saxon rule. The kingdoms of Gwynedd, Powys, Dyfed and Seisyllwg, Morgannwg and Gwent emerged as independent Welsh successor states. Archaeological evidence, in the Low Countries and what was to become England, shows early Anglo-Saxon migration to Great Britain reversed between 500 and 550, which concurs with Frankish chronicles. John Davies notes this as consistent with the British victory at Badon Hill, attributed to Arthur by Nennius. 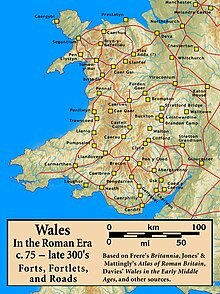 This tenacious survival by the Romano-Britons and their descendants in the western kingdoms was to become the foundation of what we now know as Wales. With the loss of the lowlands, England's kingdoms of Mercia and Northumbria, and later Wessex, wrestled with Powys, Gwent and Gwynedd to define the frontier between the two peoples. Having lost much of what is now the West Midlands to Mercia in the 6th and early 7th centuries, a resurgent late-7th-century Powys checked Mercian advances. Aethelbald of Mercia, looking to defend recently acquired lands, had built Wat's Dyke. According to John Davies, this endeavour may have been with the agreement of Powys king Elisedd ap Gwylog, as this boundary, extending north from the valley of the River Severn to the Dee estuary, gave Oswestry to Powys. Another theory, after carbon dating placed the dyke's existence 300 years earlier, is that it may have been built by the post-Roman rulers of Wroxeter. King Offa of Mercia seems to have continued this consultative initiative when he created a larger earthwork, now known as Offa's Dyke (Clawdd Offa). Davies wrote of Cyril Fox's study of Offa's Dyke: "In the planning of it, there was a degree of consultation with the kings of Powys and Gwent. On the Long Mountain near Trelystan, the dyke veers to the east, leaving the fertile slopes in the hands of the Welsh; near Rhiwabon, it was designed to ensure that Cadell ap Brochwel retained possession of the Fortress of Penygadden." And, for Gwent, Offa had the dyke built "on the eastern crest of the gorge, clearly with the intention of recognizing that the River Wye and its traffic belonged to the kingdom of Gwent." However, Fox's interpretations of both the length and purpose of the Dyke have been questioned by more recent research. Offa's Dyke largely remained the frontier between the Welsh and English, though the Welsh would recover by the 12th century the area between the Dee (Afon Dyfrdwy) and the Conwy, known then as Y Berfeddwlad. By the 8th century, the eastern borders with the Anglo-Saxons had broadly been set. From 800 onwards, a series of dynastic marriages led to Rhodri Mawr's (r. 844–77) inheritance of Gwynedd and Powys. His sons, in turn, would found three principal dynasties ( Aberffraw for Gwynedd, Dinefwr for Deheubarth and Mathrafal for Powys). 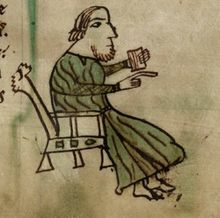 Rhodri's grandson Hywel Dda (r. 900–50) founded Deheubarth out of his maternal and paternal inheritances of Dyfed and Seisyllwg in 930, ousted the Aberffraw dynasty from Gwynedd and Powys and then codified Welsh law in the 940s. 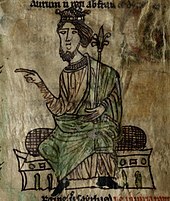 Maredudd ab Owain (r. 986–99) of Deheubarth (Hywel's grandson) would, (again) temporarily oust the Aberffraw line from control of Gwynedd and Powys. The English interpretation of the treason of Llywelyn was that his fiefdom had escheated to the king. The Statute of Rhuddlan in 1284 provided the constitutional basis for post-conquest government of the Principality of North Wales from 1284 until 1535/6. It defined all of Wales as "annexed and united" to the English Crown, still separate from England but under the same monarch. The king ruled directly in two areas: the Statute divided the north and delegated administrative duties to the Justice of Chester and Justiciar of North Wales, and further south in western Wales the King's authority was delegated to the Justiciar of South Wales. The existing royal lordships of Montgomery and Builth remained unchanged,  and the remainder of Wales was still controlled by the marcher lords. To help maintain his dominance, Edward constructed a series of great stone castles: Beaumaris, Caernarfon and Conwy. His son, the future Edward II, was born at Edward's new castle at Caernarfon in 1284. He became the first English Prince of Wales in 1301, which at the time provided an income from northwest Wales known as the Principality of Wales. The title is granted by the monarch to the heir apparent as a personal honour or dignity, and is not heritable, merging with the Crown on accession to the throne. After the failed revolt in 1294–95 of Madog ap Llywelyn – who styled himself Prince of Wales in the Penmachno Document – and the rising of Llywelyn Bren (1316), the next major uprising was that led by Owain Glyndŵr, against Henry IV of England. In 1404, Owain was reputedly crowned Prince of Wales in the presence of emissaries from France, Spain and Scotland. Glyndŵr went on to hold parliamentary assemblies at several Welsh towns, including Machynlleth. But the rebellion failed, and Owain went into hiding in 1412; peace was essentially restored in Wales by 1415. The last remnants of Celtic-tradition Welsh law were abolished and replaced by English law by the Laws in Wales Acts 1535 and 1542. 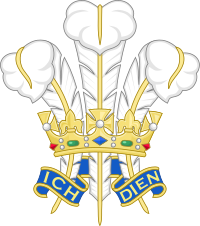 All of Wales became unified with the kingdom of England, in the legal jurisdiction of England and Wales; the "Principality of Wales" began to refer to the whole country, though it remained a "principality" only in a ceremonial sense. The lordships of the Marches were abolished, and Wales began electing members of the Westminster parliament. In the first referendum, in 1979, the Welsh electorate voted against the creation of a Welsh assembly with an 80% majority for the "no" vote. In 1997, a second referendum on the same issue secured a "yes" by a very narrow majority (50.3%). The National Assembly for Wales (Cynulliad Cenedlaethol Cymru) was set up in 1999 (under the Government of Wales Act 1998) and has the power to determine how Wales' central government budget is spent and administered, although the UK parliament reserves the right to set limits on the powers of the Welsh Assembly. 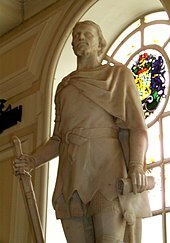 By tradition, Welsh Law was compiled during an assembly held at Whitland around 930 by Hywel Dda, king of most of Wales between 942 and his death in 950. The 'law of Hywel Dda' ( Welsh: Cyfraith Hywel), as it became known, codified the previously existing folk laws and legal customs that had evolved in Wales over centuries. Welsh Law emphasised the payment of compensation for a crime to the victim, or the victim's kin, rather than punishment by the ruler. Other than in the Marches, where law was imposed by the Marcher Lords, Welsh Law remained in force in Wales until the Statute of Rhuddlan in 1284. Edward I of England annexed the Principality of Wales following the death of Llywelyn ap Gruffudd, and Welsh Law was replaced for criminal cases under the Statute. Marcher Law and Welsh Law (for civil cases) remained in force until Henry VIII of England annexed the whole of Wales under the Laws in Wales Acts 1535 and 1542 (often referred to as the Acts of Union of 1536 and 1543), after which English law applied to the whole of Wales. The Wales and Berwick Act 1746 provided that all laws that applied to England would automatically apply to Wales (and the Anglo-Scottish border town of Berwick) unless the law explicitly stated otherwise; this Act was repealed with regard to Wales in 1967. English law has been the legal system of England and Wales since 1536,  although there is now a growing body of contemporary Welsh law following Welsh devolution. Wales is a generally mountainous country on the western side of central southern Great Britain. It is about 170 miles (270 km) north–south and 60 miles (97 km) east–west. 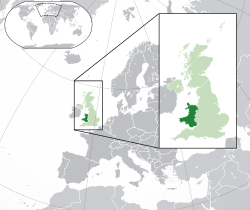 The oft-quoted ' size of Wales' is about 20,779 km2 (8,023 sq mi). Wales is bordered by England to the east and by sea in all other directions: the Irish Sea to the north and west, St George's Channel and the Celtic Sea to the southwest and the Bristol Channel to the south. Wales has about 1,680 miles (2,700 km) of coastline (along the mean high water mark), including the mainland, Anglesey and Holyhead. Over 50 islands lie off the Welsh mainland; the largest being Anglesey, in the north-west. 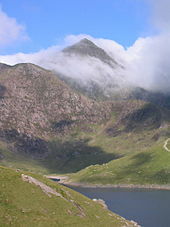 The highest outside the 3000s is Aran Fawddwy, at 905 metres (2,969 feet), in the south of Snowdonia. The Brecon Beacons (Bannau Brycheiniog) are in the south (highest point Pen y Fan, at 886 metres (2,907 feet)), and are joined by the Cambrian Mountains in Mid Wales. The highest point being Pumlumon at 752 metres (2,467 feet). The earliest geological period of the Paleozoic era, the Cambrian, takes its name from the Cambrian Mountains, where geologists first identified Cambrian remnants. In evolutionary studies the Cambrian is the period when most major groups of complex animals appeared (the Cambrian explosion). The older rocks underlying the Cambrian rocks in Wales lacked fossils which could be used to differentiate their various groups and were referred to as Pre-cambrian. The north facing high grounds of Snowdonia support a relict pre-glacial flora including the iconic Snowdon lily – Gagea serotina – and other alpine species such as Saxifraga cespitosa, Saxifraga oppositifolia and Silene acaulis. Wales also hosts a number of plant species not found elsewhere in the UK including the spotted rock-rose Tuberaria guttata on Anglesey and Draba aizoides  on the Gower. The 2011 census showed Wales' population to be 3,063,456, the highest in its history. In 2011, 27% (837,000) of the total population of Wales were not born in Wales,  including 636,000 people (21% of the total population of Wales) who were born in England. The main population and industrial areas are in south Wales, including the cities of Cardiff, Swansea and Newport and the nearby valleys, with another significant population in the north-east around Wrexham and Flintshire. The patron saint of Wales is Saint David (Dewi Sant), with Saint David's Day (Dydd Gŵyl Dewi Sant) celebrated annually on 1 March. In 1904, there was a religious revival (known by some as the 1904–1905 Welsh Revival, or simply The 1904 Revival) which started through the evangelism of Evan Roberts and saw large numbers of people converting to non-Anglican Christianity, sometimes whole communities. Roberts' style of preaching became the blueprint for new religious bodies such as Pentecostalism and the Apostolic Church. 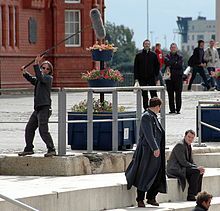 The Apostolic Church holds its annual Apostolic Conference in Swansea each year, usually in August. Despite the extinction of the professional poet, the integration of the native elite into a wider cultural world did bring other literary benefits. Renaissance scholars such as William Salesbury and John Davies brought humanist ideals from English universities when they returned to Wales. While in 1588 William Morgan became the first person to translate the Bible into Welsh, from Greek and Hebrew. From the 16th century onwards the proliferation of the 'free-metre' verse became the most important development in Welsh poetry, but from the middle of the 17th century a host of imported accentual metres from England became very popular. By the 19th century the creation of a Welsh epic, fuelled by the eisteddfod, became an obsession with Welsh-language writers. The output of this period was prolific in quantity but unequal in quality. Initially the eisteddfod was askance with the religious denominations, but in time these bodies came to dominate the competitions, with the bardic themes becoming increasingly scriptural and didactic. The period is notable for the adoption by Welsh poets of bardic names, made popular by the eisteddfod movement. The careers of some 1930s writers continued after World War Two, including those of Gwyn Thomas, Vernon Watkins, and Dylan Thomas, whose most famous work Under Milk Wood was first broadcast in 1954. Thomas was one of the most notable and popular Welsh writers of the 20th century and one of the most innovative poets of his time. Gwyn Thomas became the voice of the English-speaking Welsh valleys with his humorous take on grim lives. The attitude of the post-war generation of Welsh writers in English towards Wales differs from the previous generation, in that they were more sympathetic to Welsh nationalism and to the Welsh language. The change can be linked to the nationalist fervour generated by Saunders Lewis and the burning of the Bombing School on the Lleyn Peninsula in 1936, along with a sense of crisis generated by World War II. In poetry R. S. Thomas (1913–2000) was the most important figure throughout the second half of the twentieth century. While he "did not learn the Welsh language until he was 30 and wrote all his poems in English",  he wanted the Welsh language to be made the first language of Wales, and the official policy of bilingualism abolished. The major novelist in the second half of the twentieth century was Emyr Humphreys (born 1919), who during his long writing career published over twenty novels, which surveys the political and cultural history of twentieth-century Wales. Another novelist of the post-Second-World-War era was Raymond Williams (1921–88). Born near Abergavenny, Williams continued the earlier tradition of writing from a left-wing perspective on the Welsh industrial scene in his trilogy " Border Country" (1960), "Second Generation" (1964), and "The Fight for Manod" (1979). He also enjoyed a reputation as a cultural historian. 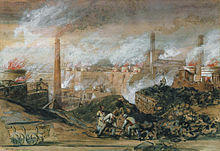 An Act of Parliament in 1857 provided for the establishment of a number of art schools throughout the United Kingdom and the Cardiff School of Art opened in 1865. Graduates still very often had to leave Wales to work, but Betws-y-Coed became a popular centre for artists and its artists' colony helped form the Royal Cambrian Academy of Art in 1881. The sculptor Sir William Goscombe John made many works for Welsh commissions, although he had settled in London. Christopher Williams, whose subjects were mostly resolutely Welsh, was also based in London. Thomas E. Stephens and Andrew Vicari had very successful careers as portraitists based respectively in the United States and France. Sir Frank Brangwyn was Welsh by origin but spent little time in Wales. The Flag of Wales incorporates the red dragon (Y Ddraig Goch) of Prince Cadwalader along with the Tudor colours of green and white. It was used by Henry VII at the Battle of Bosworth in 1485, after which it was carried in state to St Paul's Cathedral. The red dragon was then included in the Tudor royal arms to signify their Welsh descent. It was officially recognised as the Welsh national flag in 1959. On its creation the Union Jack incorporated the flags of the kingdoms of Scotland, of Ireland and the Cross of St. George which then represented the Kingdom of England and Wales. The combined flag for both England and Wales arose from the Laws in Wales Act of 1535 which annexed Wales to England. More than 50 national governing bodies regulate and organise their sports in Wales. Most of those involved in competitive sports select, organise and manage individuals or teams to represent their country at international events or fixtures against other countries. Wales is represented at major world sporting events such as the FIFA World Cup, Rugby World Cup, Rugby League World Cup and the Commonwealth Games. At the Olympic Games, Welsh athletes compete alongside those of Scotland, England and Northern Ireland as part of a Great Britain team. Although football has traditionally been the more popular sport in north Wales, rugby union is seen as a symbol of Welsh identity and an expression of national consciousness. The Wales national rugby union team takes part in the annual Six Nations Championship and has also competed in every Rugby World Cup, hosting the tournament in 1999. The five professional sides that replaced the traditional club sides in major competitions in 2003 were replaced in 2004 by the four regions: Cardiff Blues, Dragons, Ospreys and Scarlets. The Welsh regional teams play in the Pro14, the Anglo-Welsh Cup, the European Rugby Champions Cup and the European Rugby Challenge Cup. Wales has had its own football league, the Welsh Premier League, since 1992. For historical reasons, six Welsh clubs play in the English football league system; Cardiff City, Swansea City, Newport County, Wrexham, Colwyn Bay and Merthyr Town. 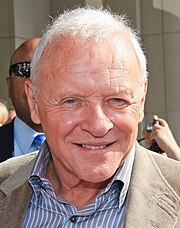 Famous Welsh players over the years include John Charles, John Toshack, Gary Speed, Ian Rush, Ryan Giggs and Gareth Bale. At UEFA Euro 2016, the Wales national team achieved their best ever finish, reaching the semi-finals where they were beaten by eventual champions Portugal. About 78% of the land surface of Wales is given over to agricultural use. However, very little of this is arable land; the vast majority consists of permanent grass pasture or rough grazing for herd animals such as sheep and cows. 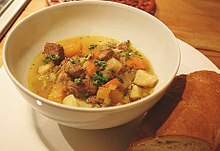 Although both beef and dairy cattle are raised widely, especially in Carmarthenshire and Pembrokeshire, Wales is more well known for its sheep farming and thus lamb is the meat traditionally associated with Welsh cooking. Traditional instruments of Wales include telyn deires ( triple harp), fiddle, crwth, pibgorn (hornpipe) and other instruments. The Cerdd Dant Society promotes its specific singing art primarily through an annual one-day festival. 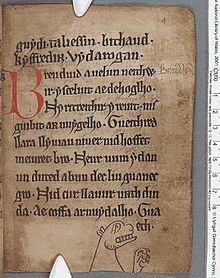 The earliest surviving Welsh plays are two medieval miracle plays, Y Tri Brenin o Gwlen ("The three Kings from Cologne") and Y Dioddefaint a'r Atgyfodiad ("The Passion and the Resurrection"). A recognised Welsh tradition of theatre emerged during the 18th century, in the form of an interlude, a metrical play performed at fairs and markets. 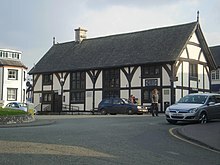 The larger Welsh towns began building theatres during the 19th century, and attracted the likes of James Sheridan Knowles and William Charles Macready to Wales. Along with the playhouses, there existed mobile companies at visiting fairs, though from 1912 most of these travelling theatres settled, purchasing theatres to perform in. As well as celebrating many of the traditional religious festivals of Great Britain, such as Easter and Christmas, Wales has its own unique celebratory days. An early festivity was Mabsant when local parishes would celebrate the patron saint of their local church. This celebration died out in the 19th century, to be replaced by Saint David's Day, which is celebrated on 1 March throughout Wales, and by Welsh expats around the world. ^ Myres, Natalie; Rootsi, Siiri; Lin, Alice A; Järve, Mari; King, Roy J; Kutuev, Ildus; Cabrera, Vicente M; Khusnutdinova, Elza K; Pshenichnov, Andrey; Yunusbayev, Bayazit; Balanovsky, Oleg; Balanovska, Elena; Rudan, Pavao; Baldovic, Marian; Herrera, Rene J; Chiaroni, Jacques; Di Cristofaro, Julie; Villems, Richard; Kivisild, Toomas; Underhill, Peter A (2010). "A major Y-chromosome haplogroup R1b Holocene effect in Central and Western Europe – see discussion results at end of article, the distribution maps and the supplementary tables". European Journal of Human Genetics. 19 (1): 95–101. doi: 10.1038/ejhg.2010.146. PMC 3039512. PMID 20736979. ^ "BBC – History – British History in Depth – Wales under the Tudors". BBC website. BBC. 5 November 2009. Retrieved 21 September 2010. ^ Sedgwick, A. (1852). "On the classification and nomenclature of the Lower Paleozoic rocks of England and Wales". Q. J. Geol. Soc. Lond. 8 (1–2): 136–138. doi: 10.1144/GSL.JGS.1852.008.01-02.20.